 iStyleYourEvent is your one-stop shop for event planning and exclusive decorating ideas. We create a prototype of the vision of your event from the scratch for your viewing a month before the event. What you see on the day of event is the same as the prototype. 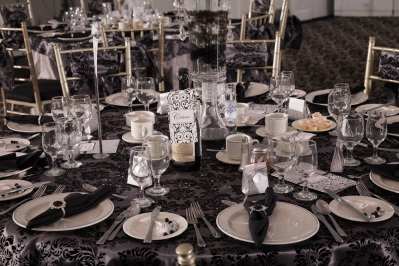 We plan, style, color and decorate ceremony & reception venues as part of the event planning services offered. Though our specialty is "Weddings" and our target is "one wedding/event a month", which enables us to dedicate and fully focus our services to the couple of the month, preceding a 6 - 12 month planning with the couple, we are also a full services event company. We manage all different flavors of events - Anniversaries, Re-do Wedding ceremonies, Weddings, Birthdays, Showers, Corporate events and much more. Weddings are a celebration bringing two love birds together and uniting two families. Your wedding should reflect your personal style. We work with our clients through our customized count down 12 month calendar, prepared just for them and based on the theme/style of their wedding. Planning starts from invitation selections, wedding/event stationery, to planning and styling the ideal ceremony, reception and gateway. During this period with iStyleYourEvent, our client will discover the perfect dress and accessories for the occasion, the right choice of flowers to compliment the theme of the event and the perfect bridal party attire that will be just right with the bride's budget as well as her attendants'. Black Tie Event - 40th Birthday Party. Classy, Stylish & absolutely stunning decor.